photograph Luna III by Ava Seymour. Wellington art dealer Peter McLeavey will receive an honorary doctorate of fine arts from the University in recognition of his influence on New Zealand art and artists. 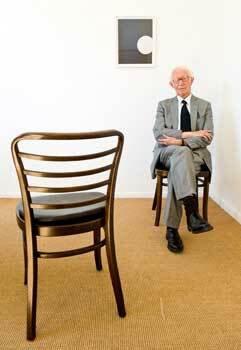 Mr McLeavey, who has operated a gallery since 1966, nurtured artists such as Colin McCahon, Toss Woollaston, Bill Hammond, Don Binney, Pat Hanly, Michael Illingworth, Milan Mrkusich, Peter Robinson, Robin White, Gordon Walters, Michael Smither, Richard Killeen and Laurence Aberhart. He continues to support and encourage younger and emerging artists, including Yvonne Todd, Liz Maw, Andrew McLeod, Brendon Wilkinson, Matt Hunt and Ava Seymour. His gallery first opened in his flat on The Terrace and moved to Cuba St in 1968. Massey Professor of Fine Arts Jeremy Diggle describes him as "the most important commercial gallerist New Zealand has ever had, effectively the pre-eminent publisher of modern New Zealand art in the past 50 years". Mr McLeavy's influence on what New Zealanders see and think about art and thing about the country is said to be profound. A documentary about him screened at the International Film Festival in July last year. He will receive his award at the morning graduation ceremony on May 27 in Wellington's Michael Fowler Centre.